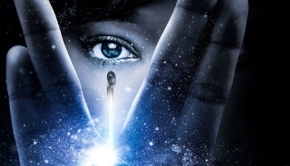 Marking the return of one of the most iconic and influential global television franchises in history, the debut season of STAR TREK: DISCOVERY: SEASON ONE arrives on Blu-ray and DVD November 21 from CBS Home Entertainment and Paramount Home Media Distribution. The four-disc Blu-ray and DVD collections will feature all 15 Season One episodes of the CBS All Access original series, along with a trove of compelling featurettes and other special features. From VFX to set design, composing the series’ score to make-up and prosthetics, the special features will provide an unprecedented look at the making of STAR TREK: DISCOVERY. STAR TREK: DISCOVERY follows Starfleet’s travels during their missions to discover new worlds and new life forms. Meanwhile one Starfleet officer learns that in order to really understand extraterrestrials, you first have to understand yourself. The series contains a new ship and new characters, but builds on the same ideology and hope for the future that inspired a generation of dreamers and doers. 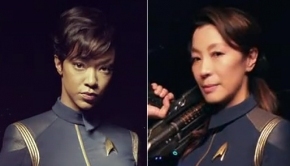 In STAR TREK: DISCOVERY the acting is done by Sonequa Martin-Green (“First Officer Michael Burnham”), Jason Isaacs (“Captain Gabriel Lorca”), Doug Jones (“Lt. Commander Saru”), Shazad Latif (“Lt. Ash Tyler”) , Mary Wiseman (“Cadet Sylvia Tilly”), Anthony Rapp (“Lt. Paul Stamets”) together with guest stars like James Frain (“Ambassador Sarek”), Rainn Wilson (Harry Mudd) and Michelle Yeoh (Captain Philippa Georgiou). 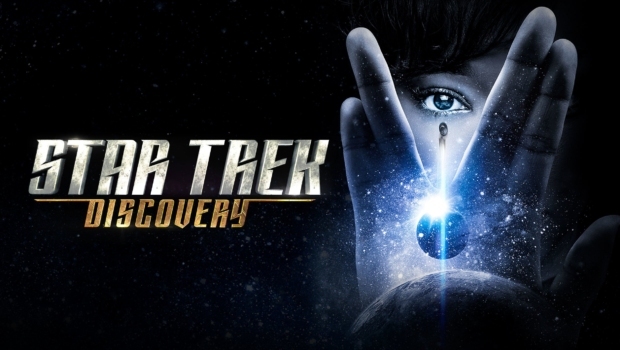 Season 1 is produced by CBS Television Studios, in collaboration with Secret Hideout, Living Dead Guy Productions and Roddenberry Entertainment. Season 2 will debut early 2019 on CBS All Access, CBS Network’s digital video-on-demand and livestream service subscription, and is released simultaneously by CBS Studios International on Netflix in 188 countries and in Canada on Bell Media’s Space channel and OTT service CraveTV. 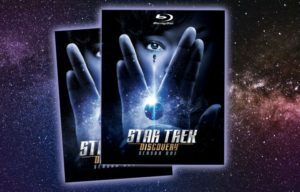 STAR TREK: DISCOVERY: SEASON 1 Blu-ray and DVD is classified in the Netherlands and is suitable for 12 years and older. On Blu-ray the main language is English 5.1 DTS-HD Master Audio, the episodes can also be played in German, French, Italian, Castilian and Japanese 5.1 (Dolby Digital). Includes subtitles in English SDH, Dutch, French, Italian, German, Castilian, Japanese, Danish, Finnish, Norwegian, Swedish, Brazilian Portuguese and Klingon. On DVD the main language is English 5.1, the episodes can also be played in French Stereo. Includes subtitles in English SDH, Dutch, French and Klingon.